As a child I loved Play School. It wasn't Big Ted and little Ted or the silly songs and antics that I enjoyed so much, what I was waiting for was when the cameras took you through one of the 'windows', square, round or arched, it didn't really matter as long as we were going out into the world to visit a factory or workshop. Of course, even then my favourite factories were the ones which involved food! 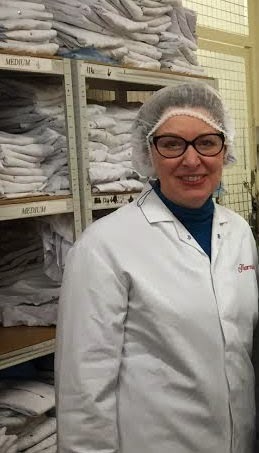 I'm still fascinated by how things are made, so I was thrilled when Jac of Tinned Tomatoes invited me to join her, Rachel Cotterill, Becca from Amuse your Bouche and Stuart from Cakeyboi on a visit to Thorntons Chocolate factory at Alfreton in Derbyshire. Thorntons have been making sweets and chocolate since 1911 and in the UK we all familiar with their shops and coffee shops. However, until I got my invitation to visit the Thorntons factory I had no idea where it was located. The factory is located in Alfreton, Derbyshire and pretty much everything that Throntons do is based here in a series of buildings. 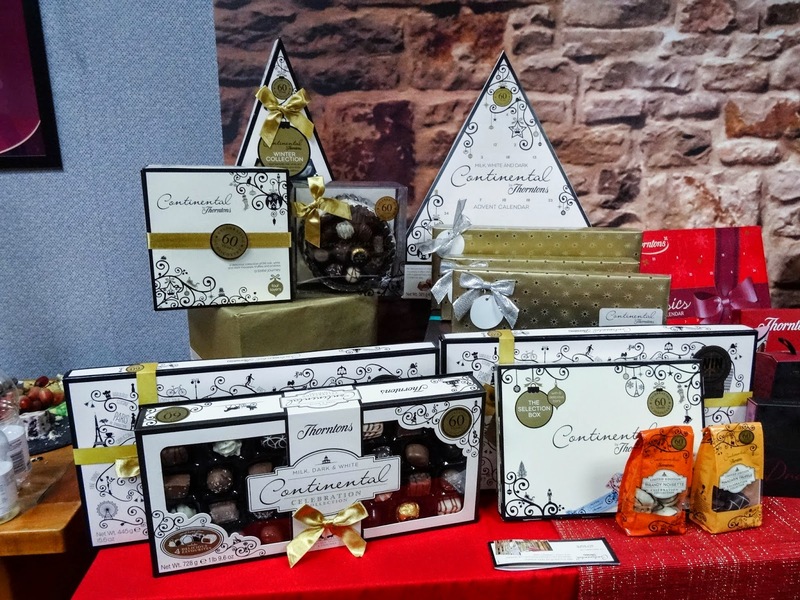 As well as actually making the chocolates, toffee, all of their recipe and product development, marketing are based at the factory. 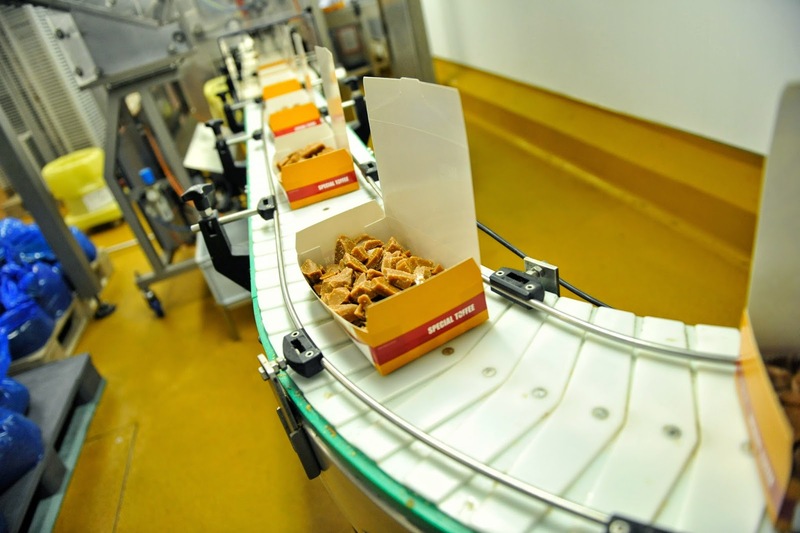 They even have their own graphics department because Thorntons believe that they know their products best and prefer to have control of all aspects of their processes. After meeting at Alfreton Station, we were taken by taxi to the Thorntons Factory. We were welcomed by John and ushered into the boardroom where we were treated to delicious lunch. All around the room there were displays of Thorntons finest chocolates. 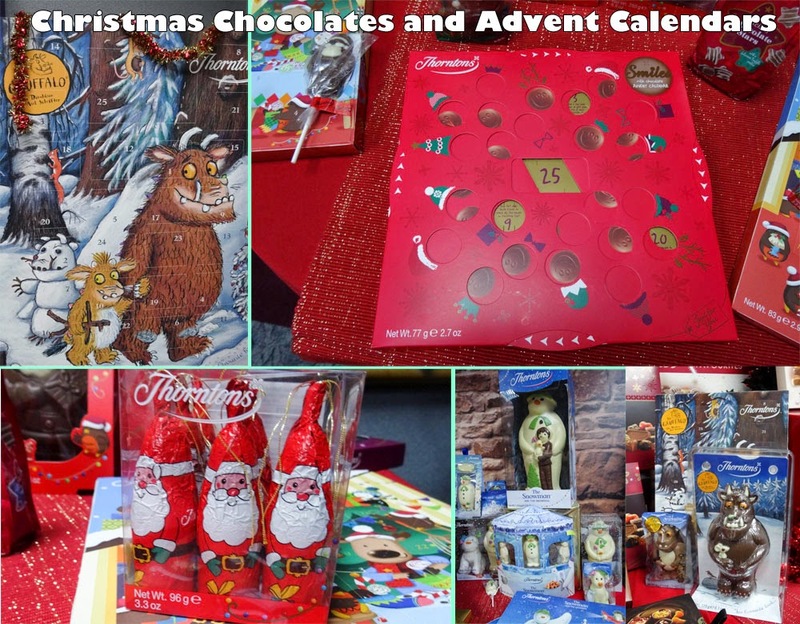 There was a seasonal aspect to most of the display with huge versions of Thorntons Advent Calendars, moulded chocolate versions of the Gruffalo and the Snowman and more traditional Santas to hang on the tree. The 'Smile' Advent Calendar (top right) is really fun as you turn the wheel at the side to find the number for each day. Then it was time for our tour of the factory. 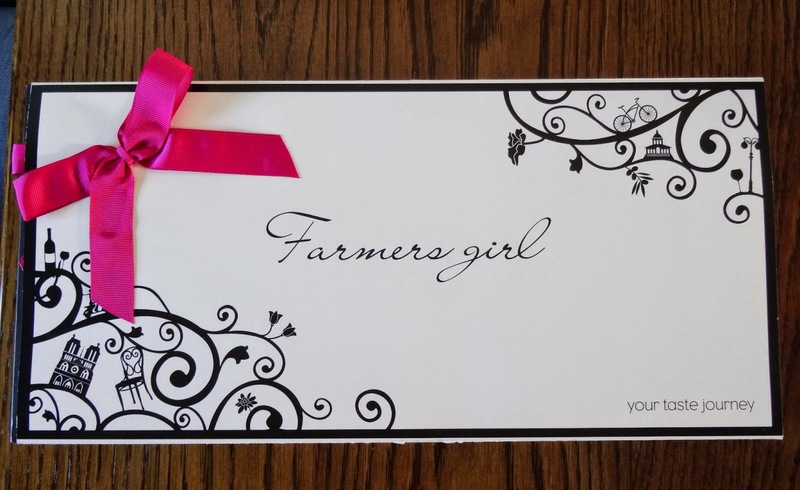 As chocolate is a food product, we were provided with white coats, hair nets and special shoes, a really 'special' look! We weren't allowed to take in any jewellery, watches or our phones or cameras. Can you hear the anguished gasps, food bloggers with no cameras, how does that work? It was actually quite liberating as I felt I could concentrate on watching and listening rather than taking photographs. 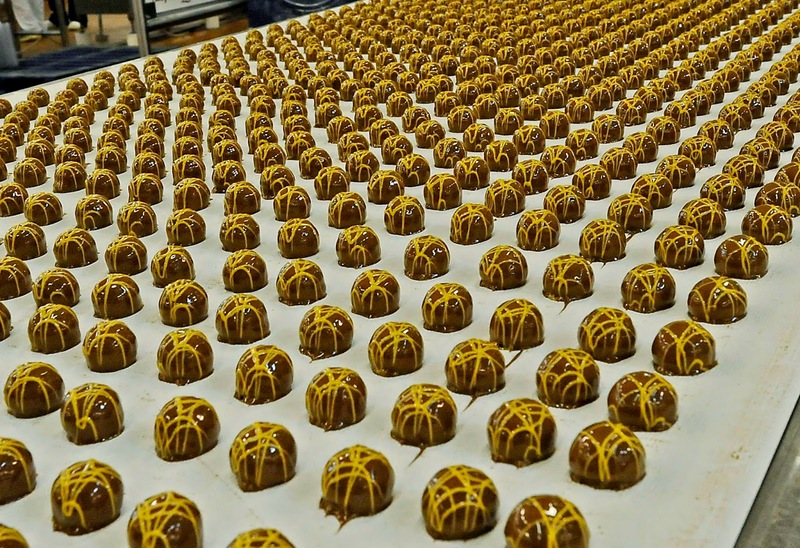 Fortunately, Thorntons provided us with some images from the factory to add to our posts. 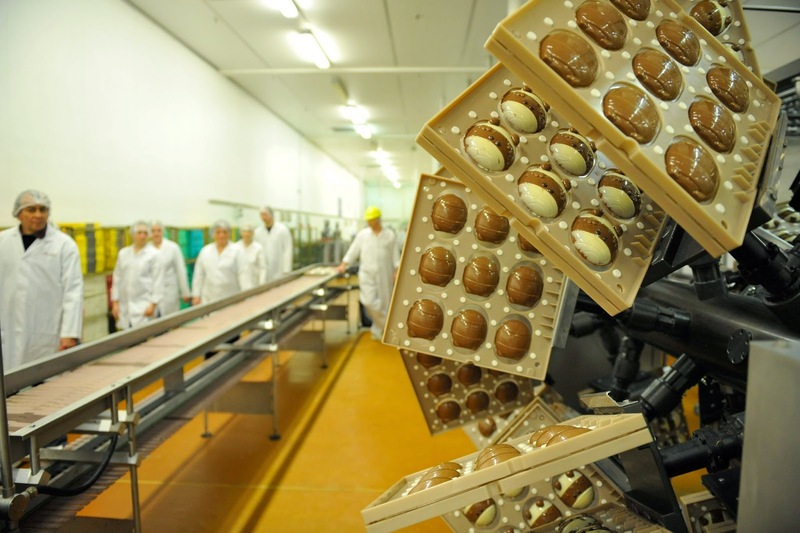 Easter Eggs are in full production at Thorntons, they start making them in September. It was fascinating to see how the moulds are warmed first, then the different coloured decorations go into the moulds, they go though a cooling 'tunnel' to set them and then the milk or plain chocolate is added. Once all the chocolate is in the mould the top is fitted and attached to one of these machines which moves them around, spreading the chocolate evenly around the mould. Do you remember how Easter eggs used to come in two halves? Well, it's this machine that is responsible for enabling the egg to be made in one piece. Once set, the eggs are un-moulded and checked by hand, any that don't meet the quality standards are rejected and melted down again. This is a Thorntons Continental Nougat Delight which I had a hand in creating. 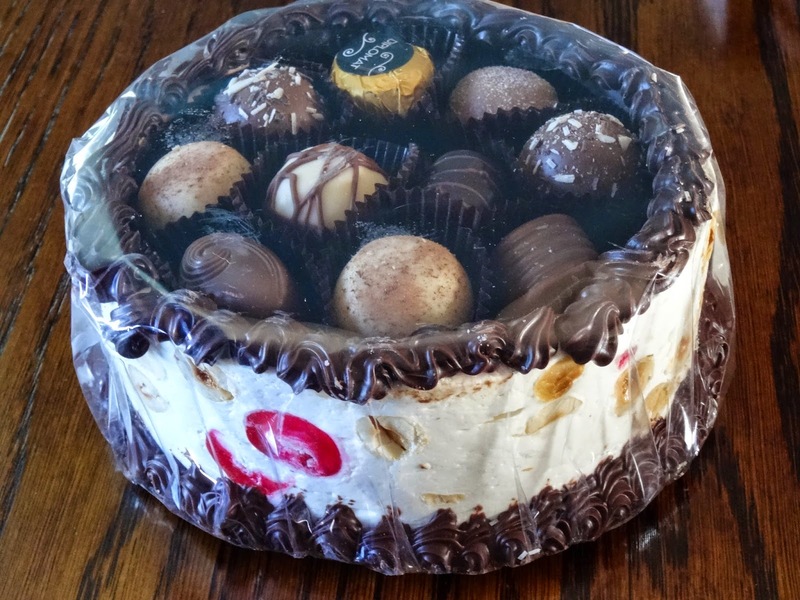 They didn't let us loose on anything too difficult but we each got the opportunity to pipe the chocolate in a shell pattern on the top of the nougat container and then to fill with our choice of chocolates. The 'icing' gun was super sensitive but we had it easy, in real life the conveyor belt is moving while the piping is going on! I was most impressed by the way they wrapped the caskets, the machine was called a 'pork pie' machine and it created a perfect gathered fold on the base. It was good fun and the staff in Thorntons were really kind and helpful. 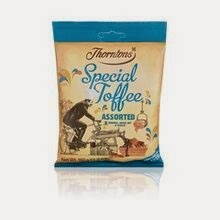 Thorntons are famed for their delicious Special Toffee and we were able to see the process from the boiling of the ingredients right through to bagging and boxing. In the photo above, you will see the 'kettles' used to boil the toffee, right at the back. It's stirred while it boils a bit like a giant Kitchen Aid. 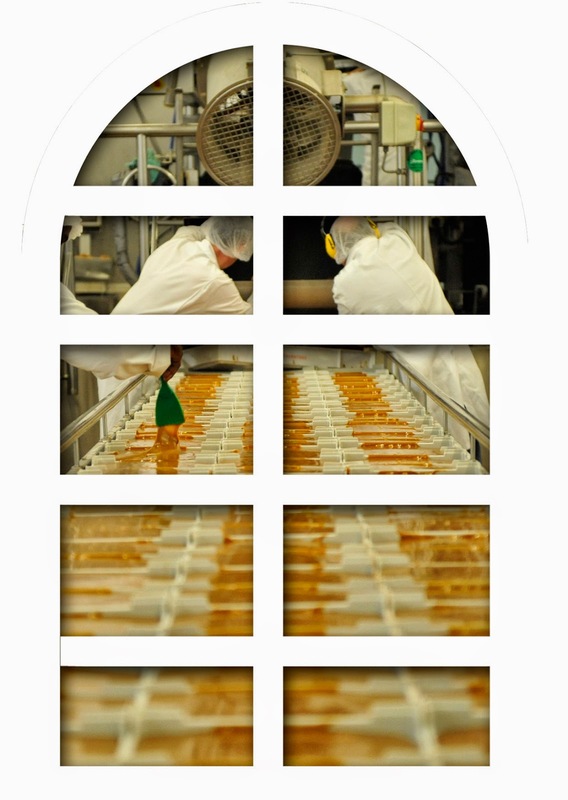 Once the toffee reaches the correct setting point where the crystals are 'uneven' it is poured, still bubbling, into troughs and then those troughs are moved along runners dispensing toffee into rows of trays. The trays sit on a cooled rack and huge fans blow cold air over them to help them set quickly. The crystal structure is really important as it is what makes the toffee break into the characteristic shards. 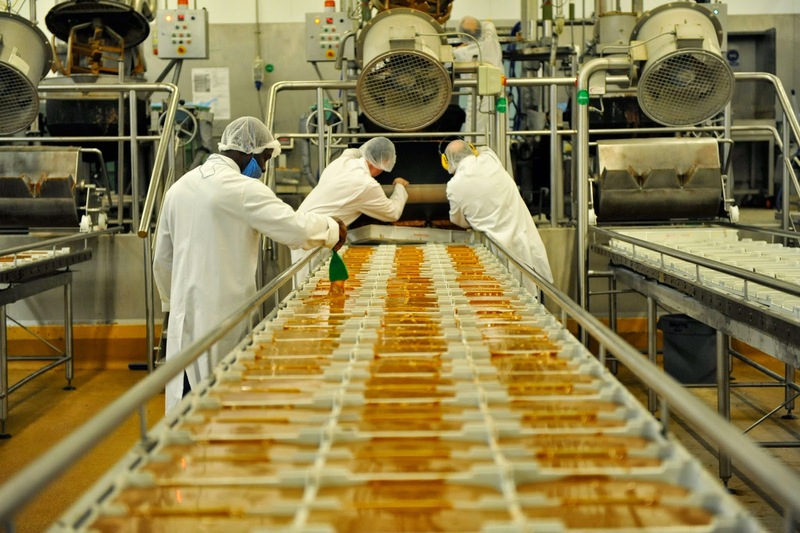 Thorntons Toffee used to be broken by hand with toffee hammers but now the process is automated. When the slabs of toffee have cooled, they are moved through to the toffee smashing machine. Slabs of tofee are loaded onto vertical conveyors, fed down inside the machine and smashed by tow plates, there is a real band when the toffee breaks. The shards then go through a winnowing machine to take out the tiny pieces and also those which are too big. All the rejected toffee goes back to be melted down again. Once broken the toffee feeds through into the packing machine which pulls through the foils makes it into bags and fills them with the correct weight of toffee, then seals them. The packs then move through to be picked up and packed in boxes, all part of a computerised machine. We also learned about how the fillings for chocolates were made and how they are then 'enrobed' with chocolate. After two hours in the factory and the opportunity to taste some freshly made chocolates, Dulce de Lecce was divine, we went back to the boardroom to do a little icing. We were each provided with a chocolate plaque and an icing bag full of icing, this is my attempt there is a name inside the heart but as I am going to give it as a gift, I've removed it by the magic of Photoshop! I was impressed by the friendliness of the all the staff and their generosity in showing us amateurs some of their skills. The skills involved in the processes vary depending on the jobs, but we saw some real expertise at every level. I'd also like to say thank you for the beautiful personalised box of Thorntons Continental, such a brilliant idea for a special gift. 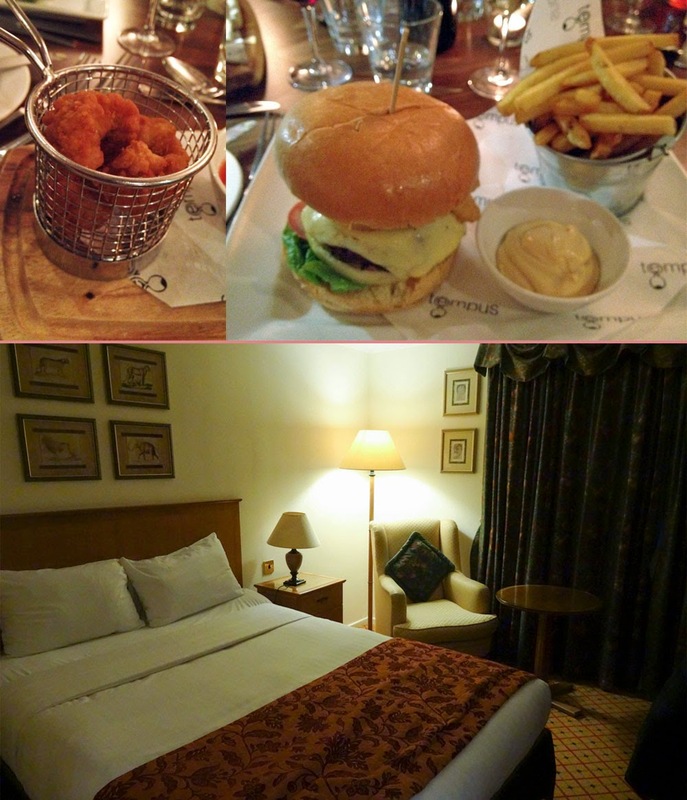 After a long day it was nice to relax at the Derbyshire Hotel at South Normanton. The room was very comfortable and quiet and the dinner was also very good, I particularly enjoyed the Salt and Pepper Squid. The burger was so huge that I had to abandon half the bun! Huge thanks to all at Thorntons Chocolates for a great visit, I felt that I had been treated with as much gentle care as the sweet treats made in the factory. It was such a pleasure to learn all about the processes, I will never look at a Thorntons chocolate in quite the same way again! I am so jealous!!! I worked at my local Thorntons for 5 years as a teenager. I've got some serious brand loyalty to them now lol. Would have loved to have been to the factory. Take me next time please!!! I can't seem to find anywhere just how much chocolate you ate; bet it was an obscene amount! Loved reading this one, thanks for sharing. I am so envious of this trip Janice, what a fabulous opportunity. All looks very interesting. 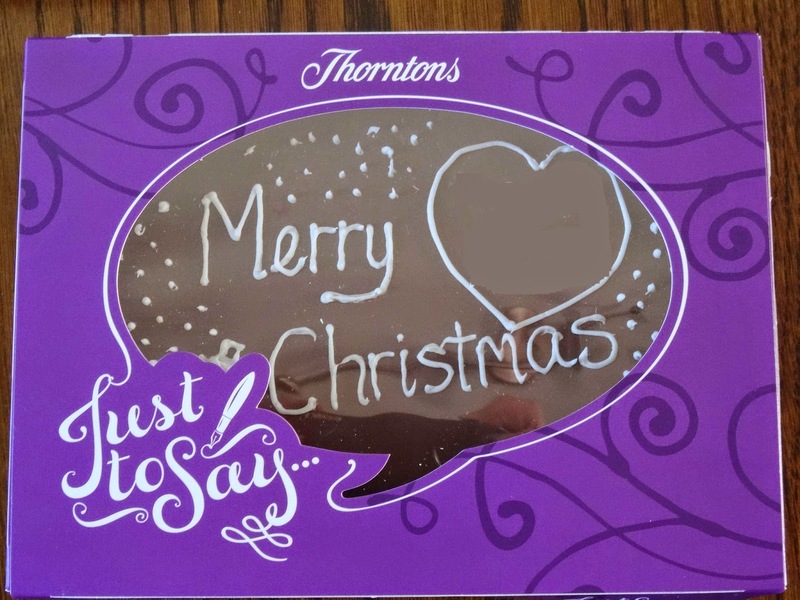 I've learnt something too, I always thought Thorntons were Yorkshire chocs! What a fascinating way to spend the day - I bet you'll never look at an Easter Egg the same way again! We did have a great time. Each different part of the factory had a different smell, I preferred the toffee smell to the chocolate smell which was quite overpowering. Aw that's nice to know, I'm sure you would enjoy it. 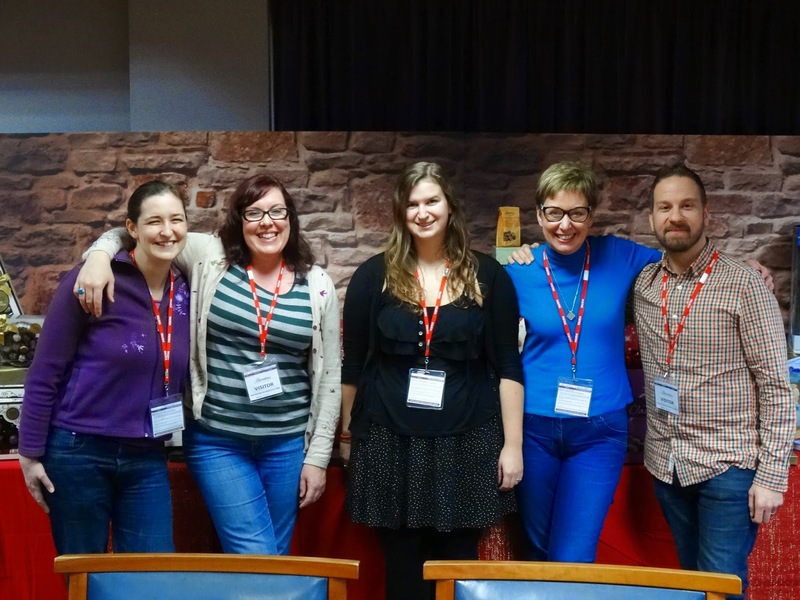 I know they are hoping to offer more blogger tours,maybe you will be lucky next time. Yes, it was a great opportunity to see all the chocs and toffee being made. We certainly did get some treats to bring home. Yes, it was thanks Natalie. The toffee making was great fun to watch, a lot of skill involved too. We did Kevin. Actually we didn't eat that much chocolate, I think I had four chocs at the tasting bar. After two hours of breathing it in, you really couldn't manage much more. Yes, it would have been right up your street Choclette and I found it all fascinating. I was asking lots of questions learned way more than I could pack into the blog post. Lovely memories Janice! It was a great experience and great to meet you again. Wow! What a great tour - talk about about a kid in a sweet shop! Indeed, I am now an eggspert lol! It was good to meet you again too Stuart. It was a fun trip. It was Jane. Meeting up is always the best bit! Wow, I did not know they were that old and I am defo dreaming of that gruffalo calender for my kiddoes. PS I would not have left if I visited the toffee section. How did you tear yourself away?